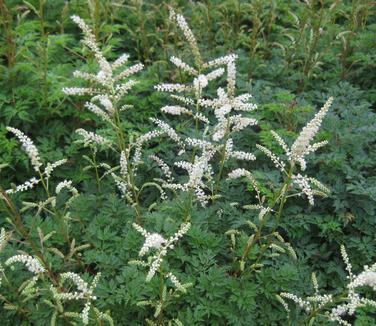 Miniature Goat's Beard has delicate Astilbe-like spikes of creamy white above deeply cut green foliage, blooming in June. 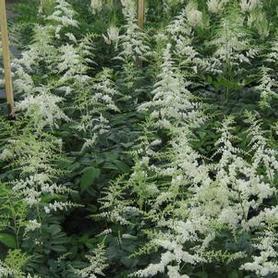 Dr. Alan Armitage feels that Aruncus aesthusifolius is more heat tolerant than the bigger Aruncus, and he's right, from our experience here in New Jersey. Miniature Goat's Beard often produces attractive fall foliage in shades of bronze and purple.